The Great Plains is a landscape that has been valued by humans for centuries, from the Native Americans who inhabited it to the artists, explorers and fur trappers who marveled at its wildlife bounty. Since the 19th century, a variety of efforts have been undertaken to ensure that America’s Great Plains remains intact for future generations. Shortly after TNC published its findings, World Wildlife Fund decided to initiate a conservation effort in the Montana Glaciated Plains, one of the key areas identified by TNC. They determined that an independent entity, capable of focusing all of its time and resources on the preservation of Montana's Northern Great Plains, would be the best vehicle through which to initiate a large-scale conservation effort. 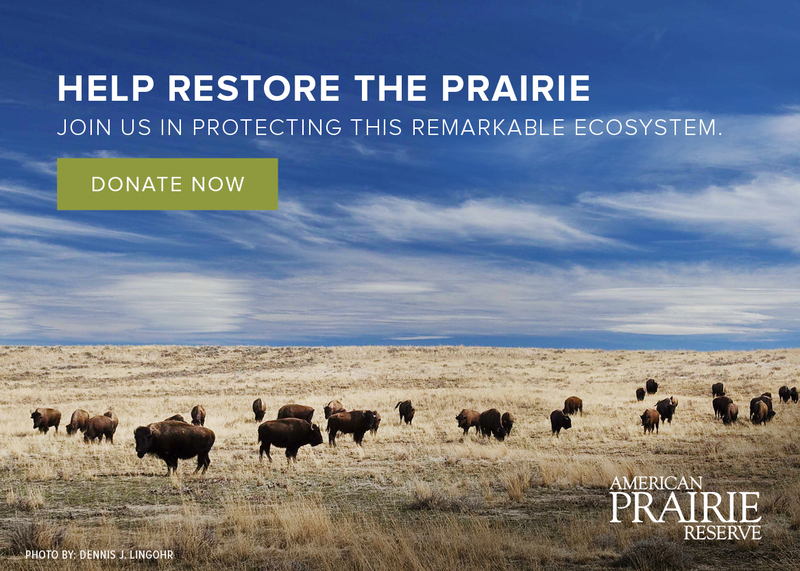 In June 2001, The Prairie Foundation was officially formed as an independent non-profit organization, later named American Prairie Foundation and now simply American Prairie Reserve. World Wildlife Fund's Northern Great Plains Program was an active and valued science contributor to American Prairie Reserve during the first decade of the Reserve. Specifically, WWF provided on-the-ground scientific support conducting inventories (plants, streams, birds and wildlife) and wildlife migration studies, monitoring and protecting prairie dogs, reintroducing bison, restoring streams and riparian areas. The idea of preserving a unique area of the American prairie, to be enjoyed forever and by all walks of life, has been worked on diligently, and in a variety of ways, for well over one hundred years. At American Prairie Reserve, we view our work as continuing the legacy of a long line of talented people and committed organizations as well as honoring a landscape that has helped shaped the vitality and character of our country. Meet our current staff and Board of Directors.